Spain, France, and Italy with Micky Mouse! Each summer, Disney Cruise Line tours the Mediterranean Sea. 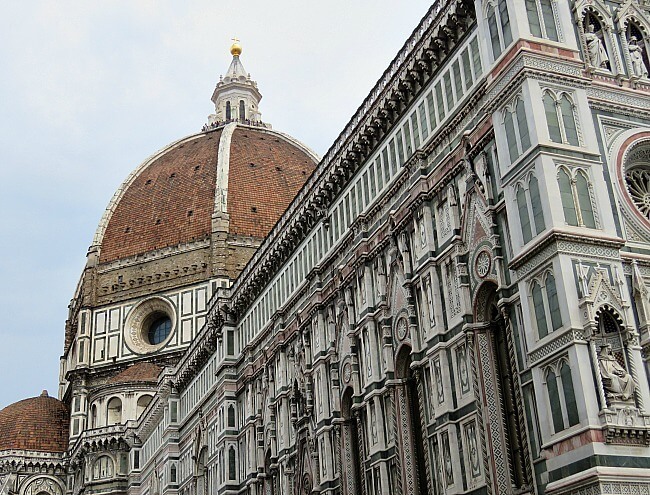 A round trip from Barcelona, Spain touches some of the most historic and scenic sites: Naples, Rome, Florence, and Cote d’Azur. Is a Disney Cruise a good way to visit this region? What is life like on board? Read on for details. 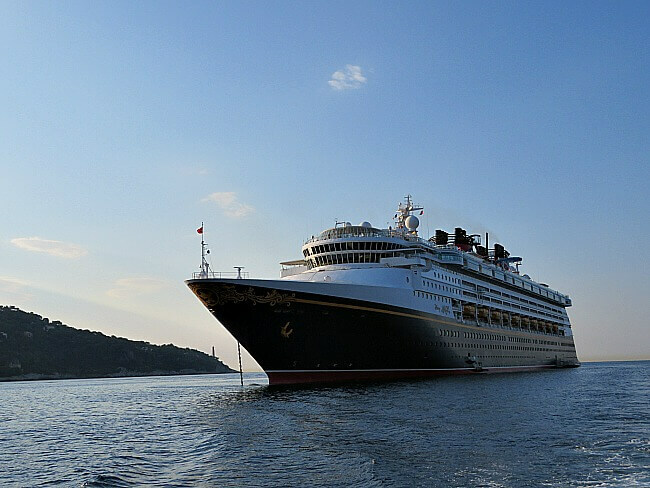 The Disney Magic is the oldest ship of the Disney Cruise Line. It is one of the two smaller Disney vessels with 2800 passengers. Recently refurbished, the Disney Magic dons a lovely Art Deco motif. We prefer the smaller Disney ships, the Magic and the Wonder. To us, they seem more intimate and less crowded. Most Disney cruises are dominated by passengers from the U.S. and Canada. On the Disney Mediterranean Cruise, the majority are still North American. Probably 40 % come from elsewhere, though. Most of these are Spanish, Arabic, and British. While there are less children on the Disney Mediterranean Cruise than on Bahamian and Caribbean cruises, this is still Disney. North American passengers tend to be older. The European and Arabic travelers were primarily families with younger children. We stayed on deck 2 midship in an ocean view room with a porthole window. While having a veranda is nice, the Disney Mediterranean Cruise is not cheap. The porthole gives plenty of light and an open feel. Porthole rooms are more reasonable than veranda rooms. 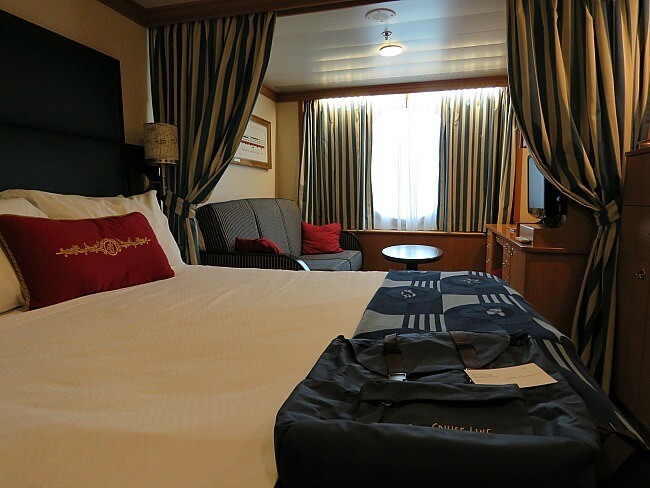 Disney Cruise Line rooms are always comfortable and relatively spacious. My wife and I slept on the comfortable king sized bed. Beside the bed was a fold out sofa on which our son slept. Disney’s bathrooms make it easy for a family to get ready each morning. It is split into two smaller rooms. One has a sink and the toilet. The other has another sink and the shower. Closet space and drawer space are plentiful. A mini-fridge allows you to keep leftovers for a snack. A flat screen TV offers an array of Disney movies and several other stations. Disney has chosen a highlights tour for this week long cruise of the Western Mediterranean. 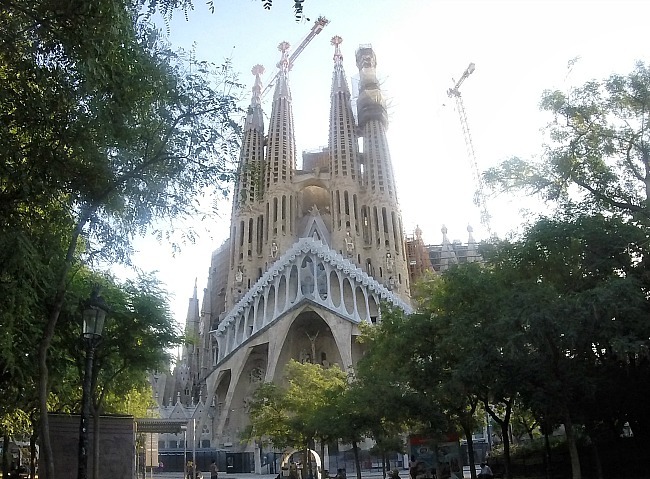 The Disney Mediterranean Cruise begins and ends in Barcelona. Barcelona is such an amazing city. The warm people, unique architecture, delicious food, and beautiful beaches make this stunning city a dream destination. It is my favorite stop from the cruise. Naples itself appears to be a somewhat grungy city. Just right outside the city are some spectacular sites and scenic vistas, though. Shore excursions were available to Mount Vesuvius, Pompeii, Sorrento, the Amalfi Coast, and the Isle of Capri. 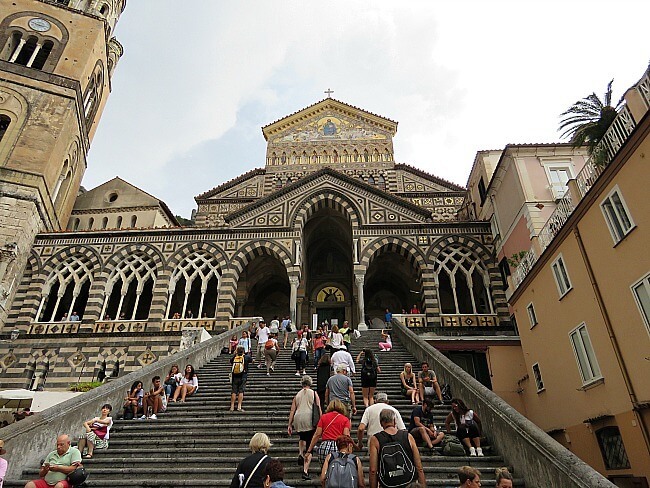 We visited Sorrento and the Amalfi Coast. Around every turn is post card worthy photo op. Civitavecchia is the port leading to Rome. Rome has far too many sites to adequately explore in a single day. Most passengers chose between excursions featuring city tours or spent a day at the Vatican. Some brave souls (our dinner table mates) caught the train and followed one of Rick Steves’ Rome walking tours. Seemingly around every corner in Rome is another jaw dropping site. Disney provided busses to transport passengers from the port to the town center of Livorno. Livorno is in itself is a nice town. 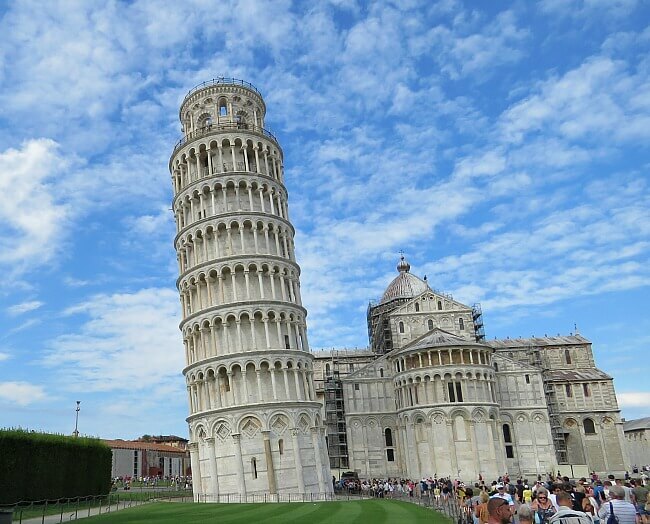 Pisa and Florence are an easy train ride away. These cities are brilliant! The history and architecture left us speechless. A single day is definitely not enough to explore both of these towns. 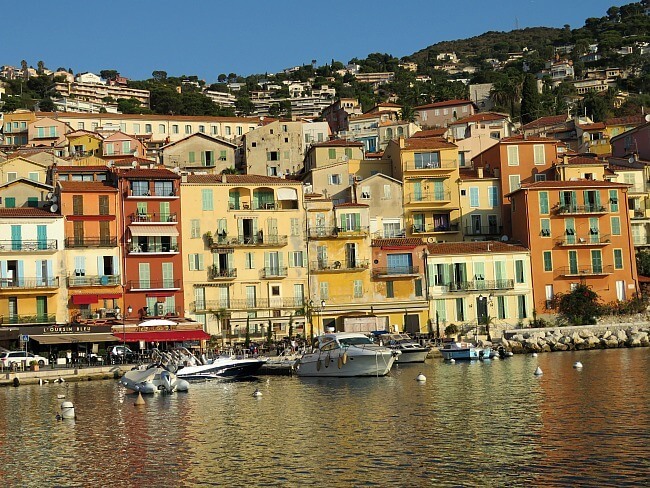 Villefranche sur la Mer lies between Nice and Monaco. It is one of the most beautiful places that I have ever seen. The Disney Magic anchored in the harbor and we were tendered to the port. As with each port, there is simply too much to see to cover in a day. We took a wonderful bus tour that took us through Villefranche, Monaco, and up into the surrounding mountains to Eze Village. We did not have time to experience Nice. Next time! Even across the ocean, Disney provides wonderful service and entertainment. We were usually given about 10 hours in port. 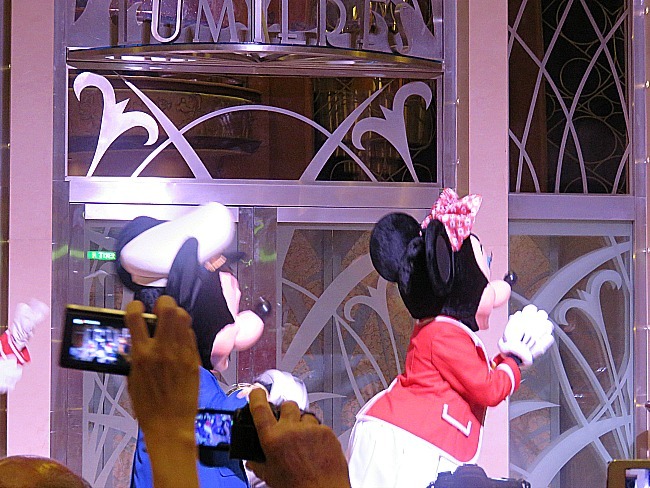 On the Disney Mediterranean Cruise, the fun does not stop in the evening or on sea days. 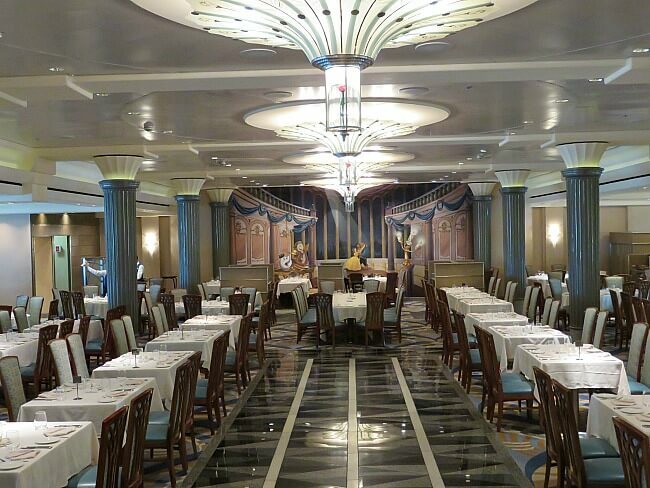 On Disney cruise ships, you rotate through the three main restaurants. Throughout the cruise, you keep the same table mates and servers. On our Mediterranean cruise, both were exceptional. We looked so forward to our evening meal with wonderful company. 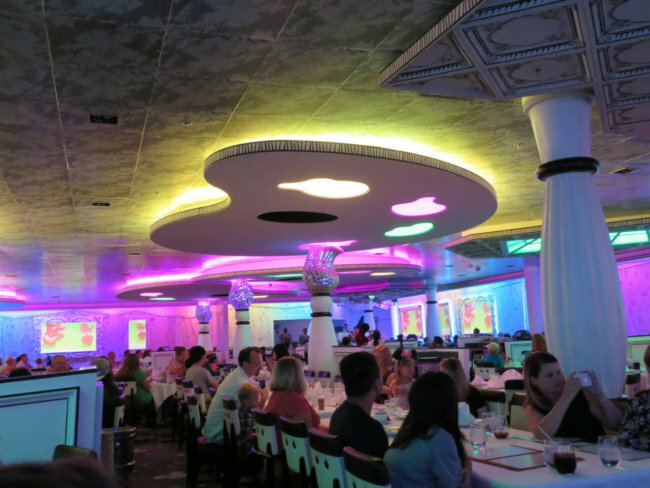 The Disney Magic has my favorite combination of Disney Cruise Line restaurants: Lumiere’s (Beauty and the Beast theming with French Cuisine), Carioca’s (Brazilian theme and cuisine), and Animator’s Palette (Disney Animation Studio theme with California cuisine). The food is the same on all Disney ships. That is a good thing. In my opinion, Lumiere’s is what nudges the Disney Magic to the top. The theme, the decor, and the ambiance are peaceful, relaxing, and beautiful. Dinner at Animator’s Palette is an audiovisual experience with the servers taking part, too. It is dinner and a show. You will remember this experience. 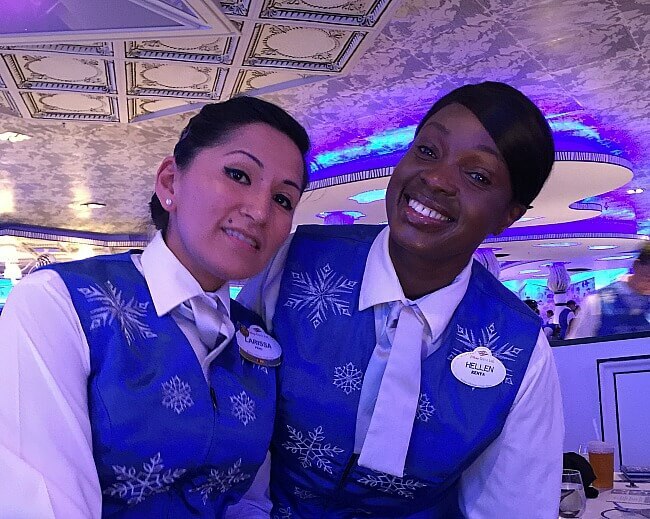 Our servers aboard the Disney Magic were the best that we have had. They were wonderful people. We love having the same servers every night. We bonded with Hellen and Larissa and hope to see them again. Disney is first and foremost about entertainment. It does not stop when the Disney Cruise Line heads overseas. Each evening and on sea day afternoons, the Disney Mediterranean Cruise did not let us down. Four original shows were performed. Walt Disney – The Dream Goes On told the story of Walt Disney with video and live performances. We were pleasantly surprised by how entertaining it was. 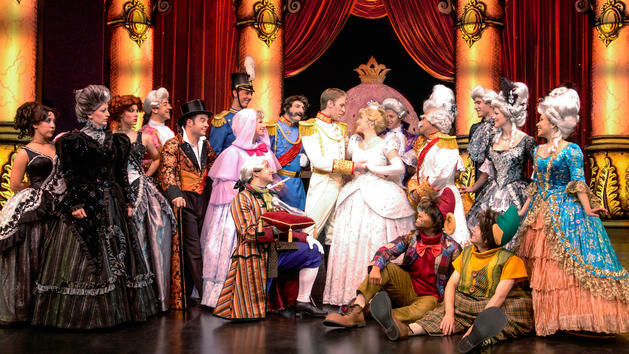 Twice Charmed: an Original Twist on the Cinderella Story was great. The evil stepmother was spectacular. Tangled: The Musical was good, also. We love the movie Tangled and were not disappointed. Disney Dreams was the final performance. 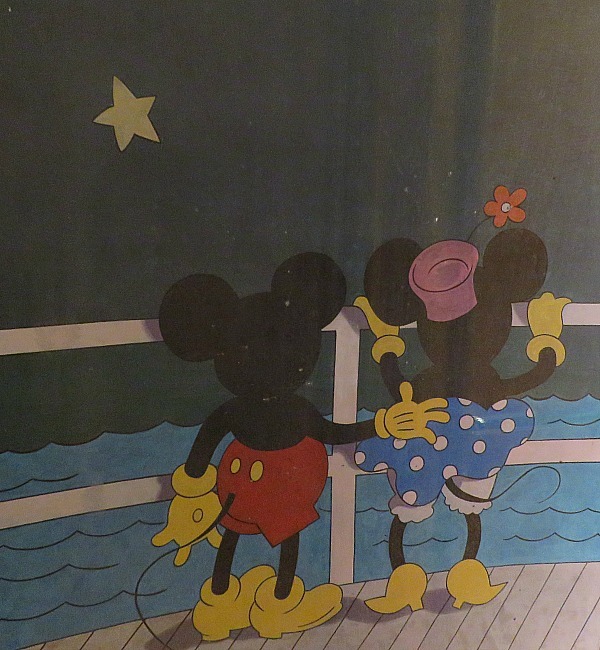 It is one of our favorites from the entire Disney Cruise Line. There were also a comedian, a magician, and a variety group. Disney character meet and greets popped up several times per day. Adults have lounges and a disco that are open well into the night if you have the energy. Children, tweens, and teens all have their own spaces that they love. 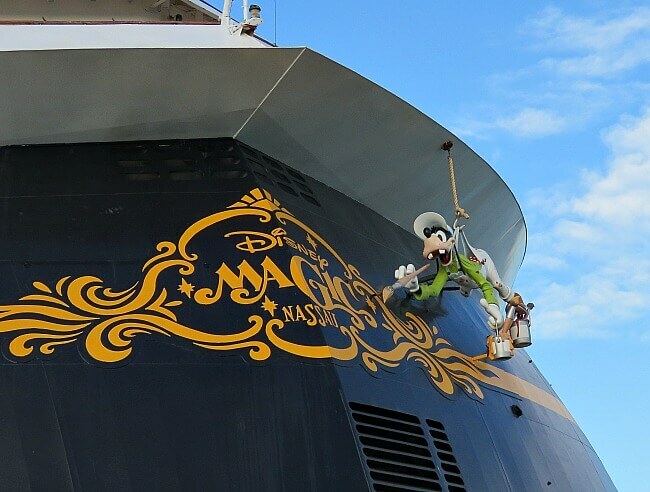 There is always something to do aboard the Disney Magic. Evenings and sea days are packed with activities. We particularly enjoy trivia and games. First run movies play continuously in the Buena Vista theater. There is a gym and spa, also. The family pool is rather small, but has a huge screen showing Disney classic movies all day. A water play area is available for the little kids. Adults have their own pool with a pool side bar. The Disney Magic has a wonderful water slide called the Aqua Dunk. Standing with your arms crossed in front of you, the floor drops out below. You fall for about 2 stories and slip into a brisk slide. The ride is short, but exhilarating. I prefer it to the more more famous Aqua Duck water coaster. Other fun activities are worked into the days. Bingo is quite popular. We enjoy making fools of ourselves in family karaoke. Get creative with cooking and craft workshops. A golf putting competition in the main lobby is popular. A highlight for us is Jack Jack’s Diaper Dash, where babies vie to be the fastest crawler on board. The crew of the Disney Magic on the Disney Mediterranean Cruise is golden. Our servers, room attendants, the Cruise Staff Team, and practically every member of the crew with which we interacted were warm, friendly, and helpful. The Disney corporation is know for hospitality. The crew of the Disney Magic take this to heart and deliver. Disney cruises are not cheap. A Disney Mediterranean Cruise gives you Disney service and entertainment in addition to taking you to fabulous ports. On Disney cruises, most non-alcoholic drinks and entertainment do not cost extra. Compared to the cost of other Disney cruises, the Mediterranean cruise is actually less expensive than most. What truly makes the Mediterranean cruise more expensive is the cost of overseas flights. 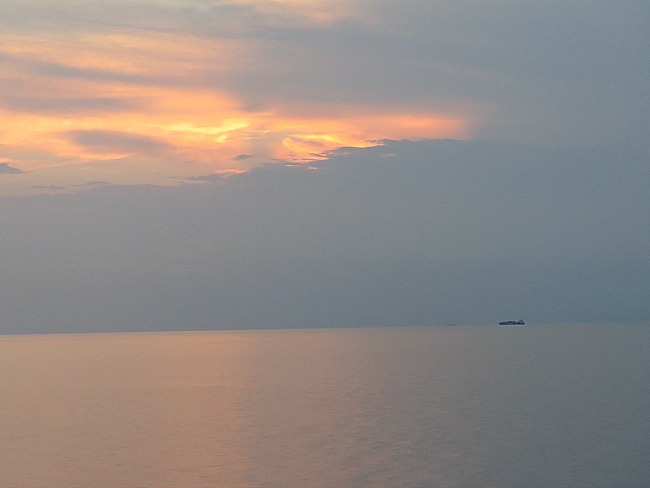 Sunset on our last night at sea. If you are a Disney fan and want to sample the highlights of the Western Mediterranean, then the Disney Mediterranean Cruise cannot be beat. 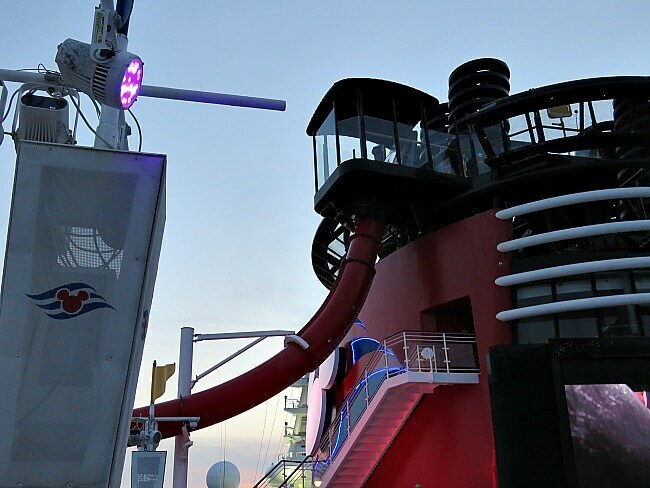 Even if you are not a huge Disney fan, but want family entertainment and excellent service while exploring this region, then this cruise is for you. I hope to take this cruise again. There is so much more to see at each port of call, and the onboard experience is amazing.